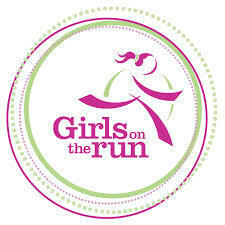 Volunteers are needed to assist with the implementation of the popular Girls on the Run program at the Halsted Middle School beginning in mid-September. The running program will be offered three days a week as part of the Project Launch Newton afterschool program, which is operated by Project Self-Sufficiency in conjunction with the Newton School District. Project Launch Newton is an enrichment program offered to children in grades 4 – 8 who reside in the Newton School District. Children participate in academic enrichment, creative pursuits, fitness and physical education, health and nutrition activities designed around a Science, Integration of Technology, Engineering and Math (STEM) theme. Volunteer coaches are needed to support girls in 7th and 8th grade at the Halsted Middle School who will be participating in the Girls on the Run program. The teams of volunteer coaches will facilitate the curriculum while providing positive role models for participating youth during the 10 – 12 week program. To volunteer, call Project Self-Sufficiency at 973-940-3500. More information about the Project Launch Newton program can be found at www.projectlaunchnewton.org.